I just now thought to look for KimmyAnn's TR! 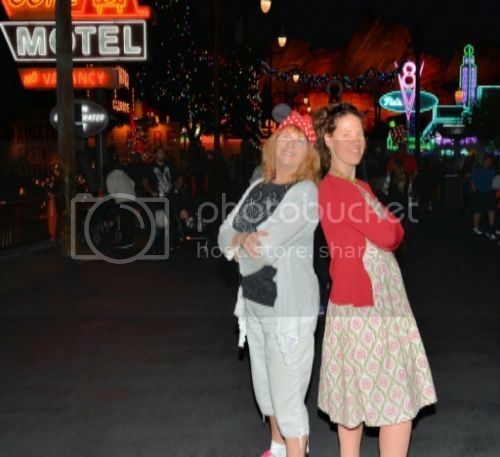 We had a great time, and somewhere there are photos of the two of us in Carsland at night--will look for them soon. 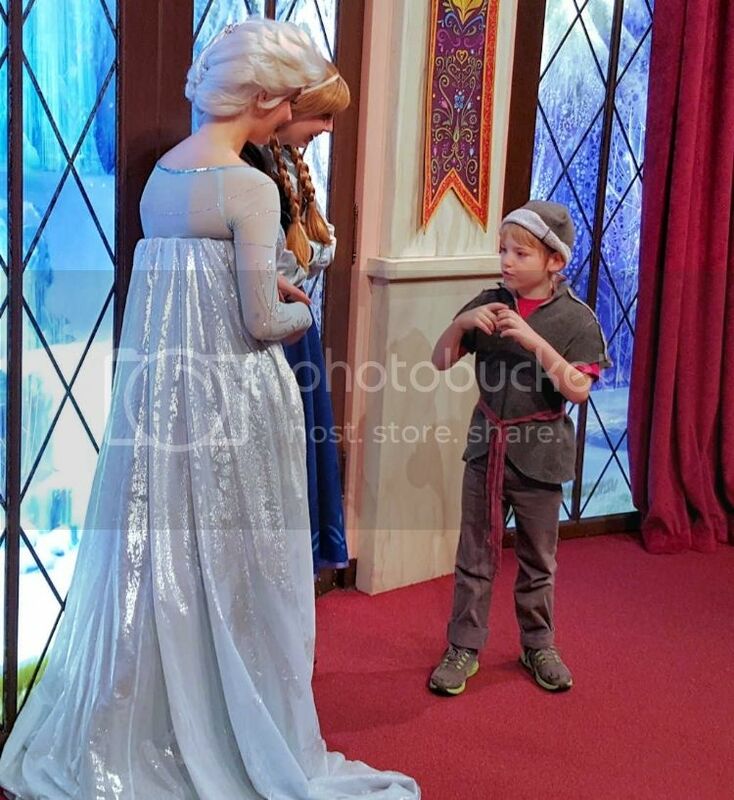 Here are the photos I took of her Augie with A&E--the PhotoPass pics are awesome; the photographer loved him as much as the princesses did! I don't have those nearby at the moment. But you can see how captivated they were with him. 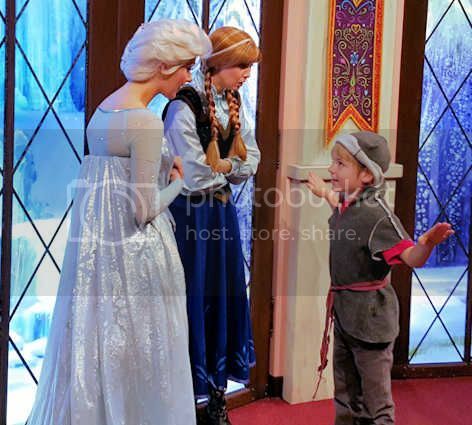 What a cutie--looked just like a miniature Kristoff! Great pics! Love the Kristoff costume! 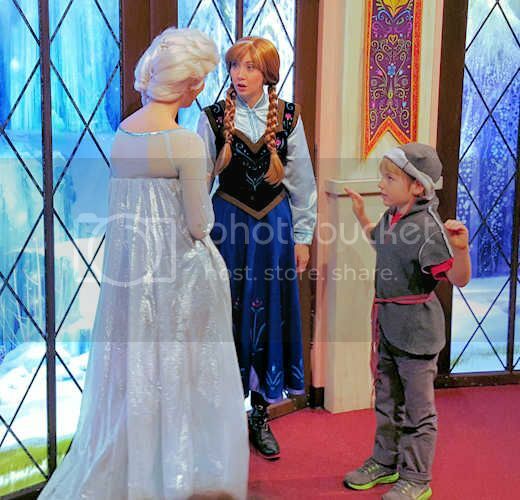 Great photos from the meet with Anna and Elsa! Great photo and lovely to put a face to the name too with KimmyAnn! Hahaha, I know! I am not super photo-savvey at all! Thanks for posting that, Ginger! Poor Ginger had to see me in not-very-pretty mad mommy state after this was taken. My son was maxed out and not coping well. In the end, I realized that he needed some 1:1 time, so Ginger and I parted ways after getting some commemorative photos together. 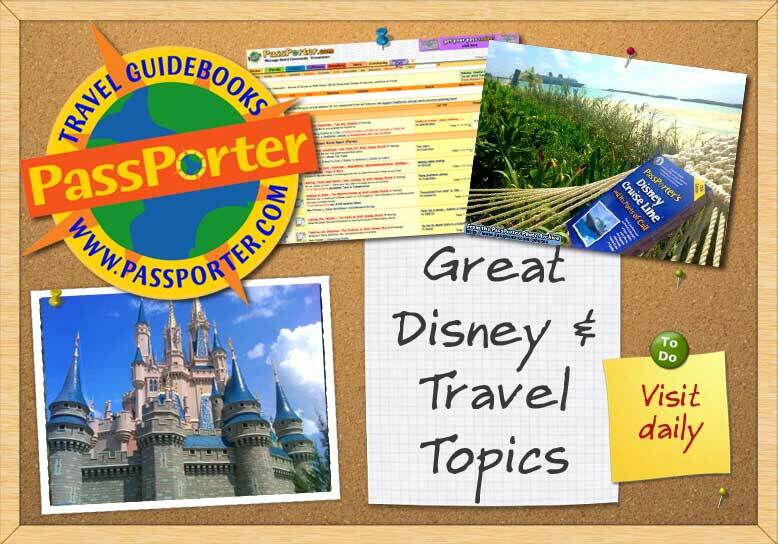 We should have taken more on Saturday night, when she irresponsibly kept me up until park closing! We should have taken more on Saturday night, when she irresponsibly kept me up until park closing! Augie was sweet--he didn't melt down more than any other 7yo up late all week on vacation! It was so fun to meet up with you!